Zainab Salbi, Executive Editor and Host of #METOO, NOW WHAT? PASADENA, CA, January 16, 2018 — PBS President and CEO Paula Kerger today announced at the Television Critics Association #METOO, NOW WHAT?, a new five-part, half-hour series hosted by Zainab Salbi, founder of Women for Women International, premiering Friday, February 2, at 8:30 pm (check local listings). In the current moment, when sexual harassment is at the forefront of the national conversation, #METOO, NOW WHAT? aims to take the discussion to another level, engaging both women and men from all generations and walks of life in dialogue about these difficult issues. With the goal of making sense of these tumultuous times, the series seeks to answer this: How did we get here and how can we use this moment to effect positive and lasting change? Each episode will focus on an aspect of sexual harassment, and will include reporting from Salbi both in the field and in studio as she facilitates open and authentic conversations that penetrate to the heart of the matter. While each episode will stand alone, the weekly in-depth and thoughtful conversations will build on and inform each other. Topics to be explored include the impact of popular culture on women in the workplace, how race and class factor into the discussion, the social costs of pay inequity and gender discrimination, how men can be engaged in this discussion, and, ultimately, how we begin to chart a path forward. #ME TOO, NOW WHAT? will draw from a range of guests, including women and men of all ages, races and economic groups — and ordinary citizens from across the nation. Salbi will also welcome activists, journalists, celebrities and leaders from the worlds of media, academics, business, arts, entertainment, fashion and advertising. In October 2015, Salbi launched “The Nida’a Show,” a groundbreaking talk show dedicated to addressing and inspiring women in the Arab world (www.nidaashow.com). The show started with the historic first interview in the Arab world with Oprah Winfrey (Winfrey had featured Zainab 10 times on her own show) and featured women and men from all walks of life in addition to global and Arab celebrities. 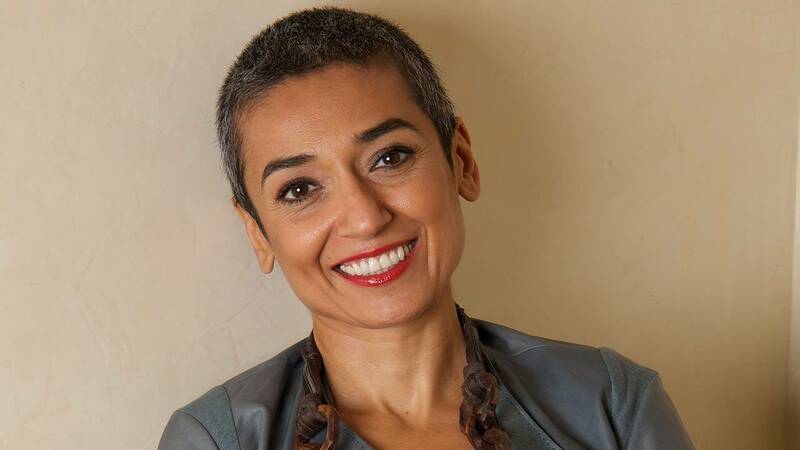 In November 2016, Salbi launched “The Zainab Salbi Project,” an original global series in collaboration with Huffington Post and AOL, in which she travels the world shedding light on global issues through the incredible personal stories of people who are struggling, surviving and thriving in a sea of conflict. Produced by WOMEN IN THE WORLD MEDIA, LLC for PBS. A subsidiary of Tina Brown Live Media, Women in the World is the only media and network company delivering urgent, relevant news, narrative and commentary through the lens of smart women. Women in the World Media’s global network of women journalists present personal stories online or on stages around the world, from DC to Delhi to Dubai. These women, and the men who champion them, range from CEOs and world leaders to artists, activists, peacemakers, and firebrand dissidents. The flagship event, the New York Summit, is now in its ninth year, at New York City’s Lincoln Center. For more information on Women in the World Media, please visit: www.WomenintheWorld.com.